Experienced skin care professionals, such as Connie Chan, utilize this knowledge by making use of certain foods in their treatments. For example, clients who go to a popular acne and skin care clinic in Folsom, CA like The Healing Station may receive pomegranate skin treatments to fight off the effects of aging. The fruit itself is remarkable because pomegranate extract has high levels of antioxidants (higher than green tea) which help not only in protecting the epidermis from physical and sun damage, but also in repairing any damage that may already be present. Many are aware about the effects of aging and are looking for ways to combat it. According to the American Academy of Anti-Aging Medicine, about 60 percent of people aged 65 and above are currently pursuing anti-aging solutions. In fact, cosmetic treatments performed in the country last year were estimated to be worth around $20 billion; excluding revenue earned by fitness centers and anti-aging medications. These figures reflect a growing health trend that seeks to improve the quality of and has resulted in the introduction of more advanced anti-aging treatments. One such treatment is the ‘oxygen lift facial’, a five-stage process that involves infusing the skin with oxygen, stem cells from plants, peptides, and enzymatic botanicals, to rid it of toxins from caffeine, nicotine, and environmental pollutants. Not only does it provide noticeable results, this treatment also has little to no downtime, which means that people who receive an oxygen lift can immediately resume their normal activities. Those interested to learn more about this and similar anti-aging solutions can consult with experts on skin care in Folsom, CA and other places. 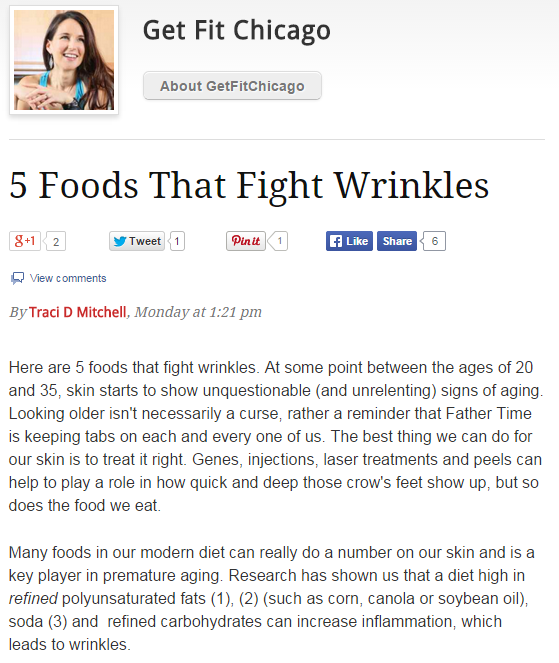 There are several ways for people to fight off aging. Eating healthy foods and receiving proven skin care treatments are two of the most effective. To get the best results, it is wise to do both, and enhance your well-being in the process. Contact The Healing Station today for skincare treatments or a relaxing massage from Connie Chan by calling 916-294-9980 or clicking the “Schedule Online” link at the top of website www.TheHealingStation.net .